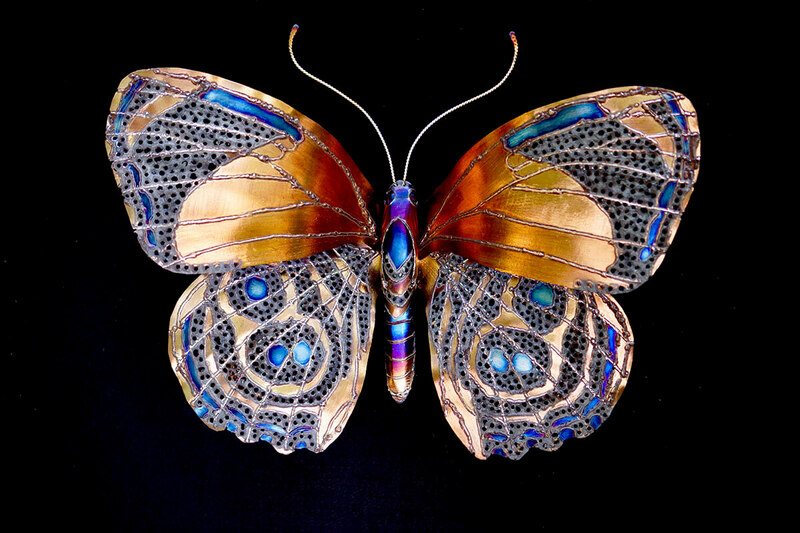 This handmade metal butterfly sculpture is wall hanging and is made entirely of stainless steel. I have always been drawn to butterflies. They are ornate, intricate, detailed and delicate little creatures that flit in and out of my life creating awe and offering me with the opportunity to pause and be grateful for the beauty that surrounds me. The idea for this butterfly came from a visit with my dear friend Aralia. She had pulled out a book of animal photography to show me and one of the butterflies was an 88 butterfly. I had never seen one and I was immediately transfixed by the gorgeous markings. So the next day I started designing one and this is what i came up with! I often do color fades but i really love how this two toned piece turned out. There is something nice about limiting the color pallet, it pops in a different way. This sculpture is completely safe to be kept outdoors! 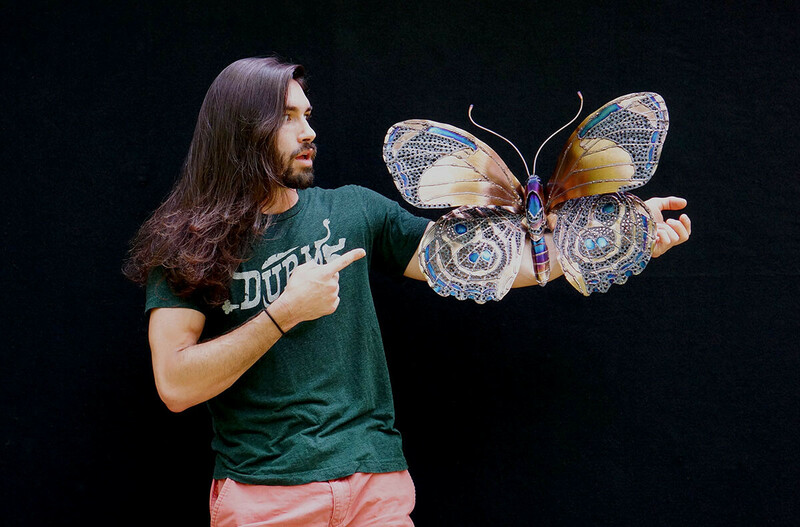 Artist Aiden Dale with his 88 butterfly sculpture. 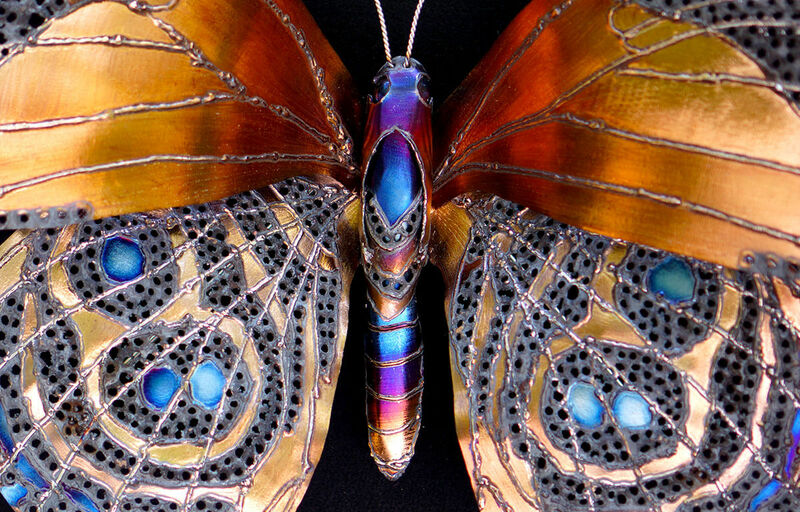 Body close up of metal 88 butterfly sculpture.